Building and designing large infrastructures is very tedious and difficult task as one has to go down into the smallest of nitty-gritties when designing - and if this is not done, this is what happens. Its was only three weeks since the opening of the world's widest bridge in the British Columbia when it had to be closed down after a heavy snow fall. 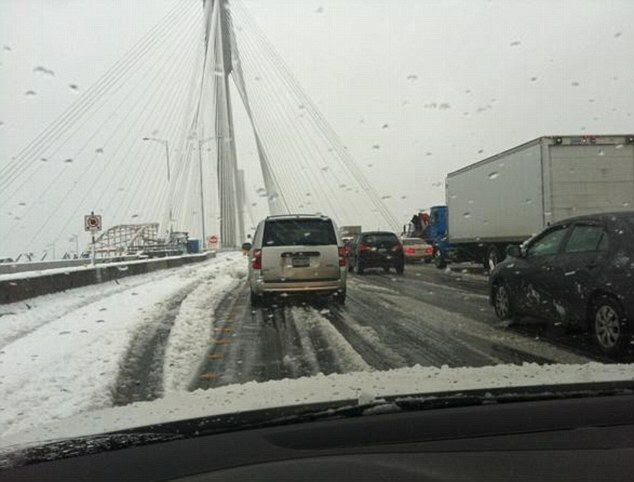 While the snow fall did not do any harm, but the snow that accumulated on the bridge suspension cables when fall down, it came like ice bombs breaking car windows and damaging cars. The ten-lanes bridge, which is also the second largest bridge in the North America is now closed and designers are trying to figure out how to redesign the suspension cables so as to avoid happening of the disaster again. More than 100 insurance claims were filed by commuters after chunks of ice smashed down onto vehicles from the bridge's suspension cables during a Wednesday snowstorm.